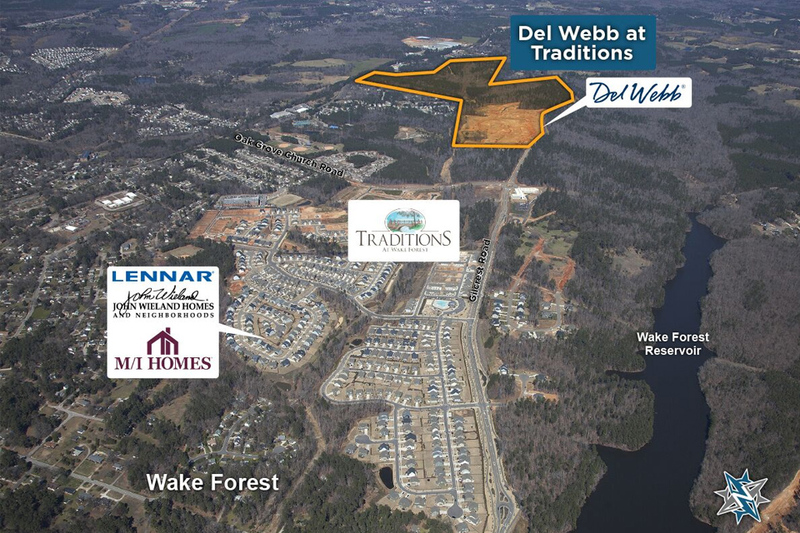 Del Webb at Traditions is an Active Adult community located in the town of Wake Forest on the north side of Raleigh-Durham, North Carolina. 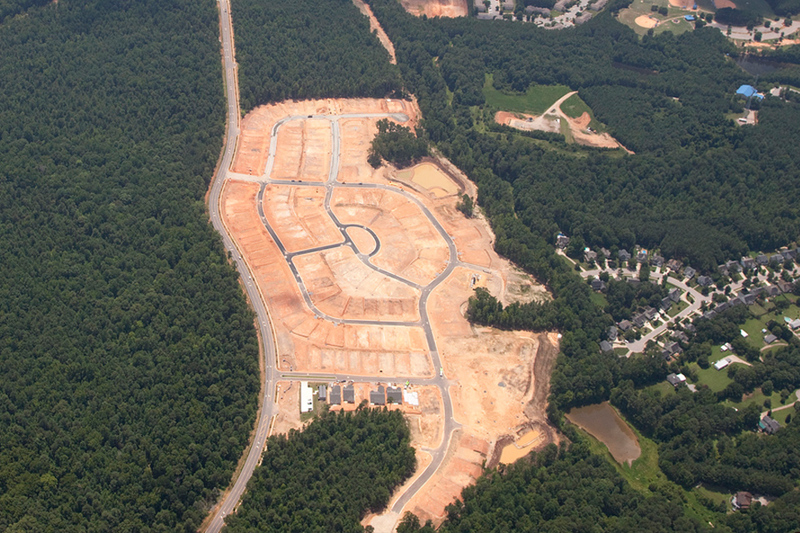 In total, the project is 165 acres where Suncrest will deliver approximately 450 developed lots to Pulte Del Webb, America’s premier active adult home builder. 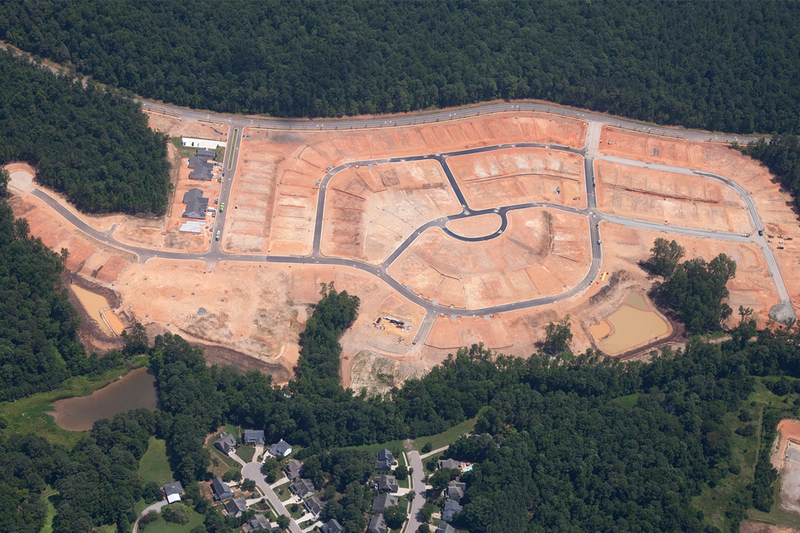 Suncrest completed the entitlements and acquired the land in April 2016 in partnership with a private equity real estate fund based in New York. 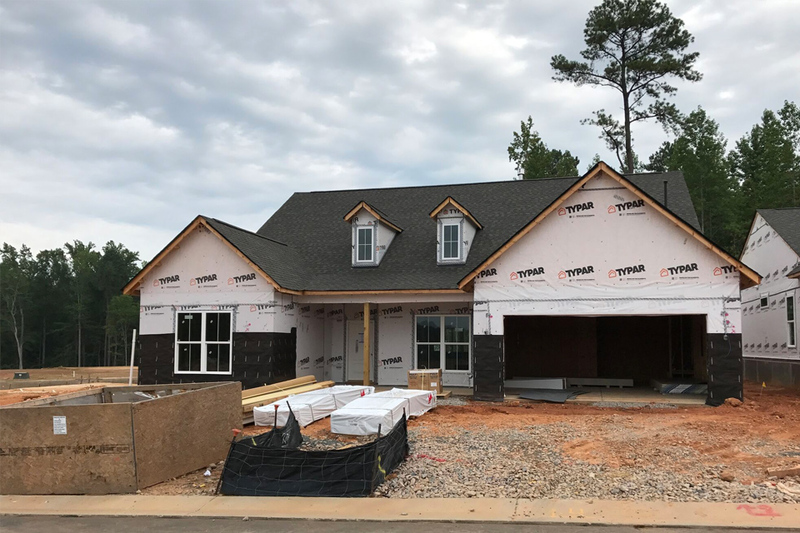 By July 2017, the partnership had completed the construction of Phase 1 and Del Webb was nearing completion of their model homes. The community will feature a 18,000-square-foot amenity center and social hub where residents can meet for aerobics, billiards, fitness, pickleball, bocce, swimming or just meet friends at the coffee bar. 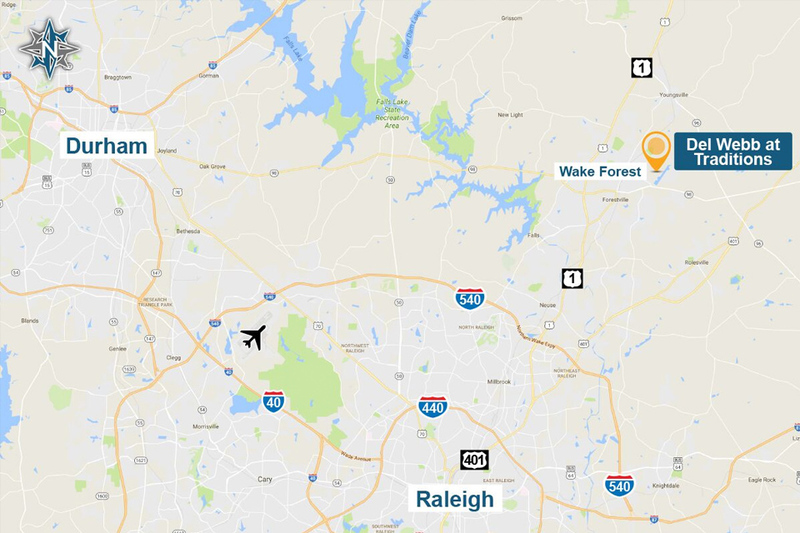 This low-maintenance community is located within existing master-planned community of Traditions and is well situated only five minutes from the shops and restaurants in downtown Wake Forest and within walking distance from Wake Forest Reservoir allowing residents to enjoy hiking, kayaking and fishing at their doorstep. © 2018 Suncrest Real Estate & Land. All rights reserved.